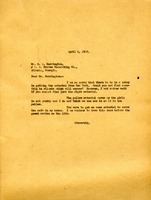 A list describing the woodwork and expressing what colors to make the walls in different bedrooms, the hallways, and living rooms. 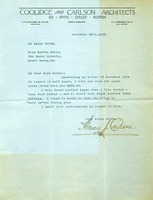 Katherine Daley received the blueprints that Martha Berry sent them regarding decorating one of the rooms. 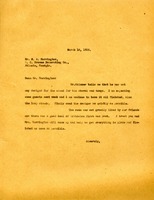 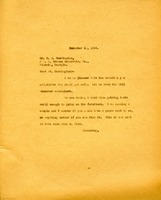 Letter to Martha Berry to Mr. M. A. Harrington of the W. E. Browne Decorating Co. about getting material to recover her sofa in her home. 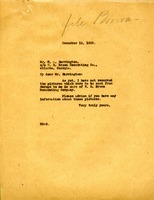 decorating, letter, sofa material, W. E. Browne Decorating Co.